How the Golden State Warriors and the Cleveland Cavaliers use wearable tech #WearableWednesday « Adafruit Industries – Makers, hackers, artists, designers and engineers! With the Cavaliers, Lebron James has built his brand and body through digital tech and the latest in training technology. And Matthew Dellavedova has been using a wearable called Whoop (pronounced “hoop”) to track his on-court stats more precisely. Now, another player in this year’s NBA Finals seems to have entered the tech mix. 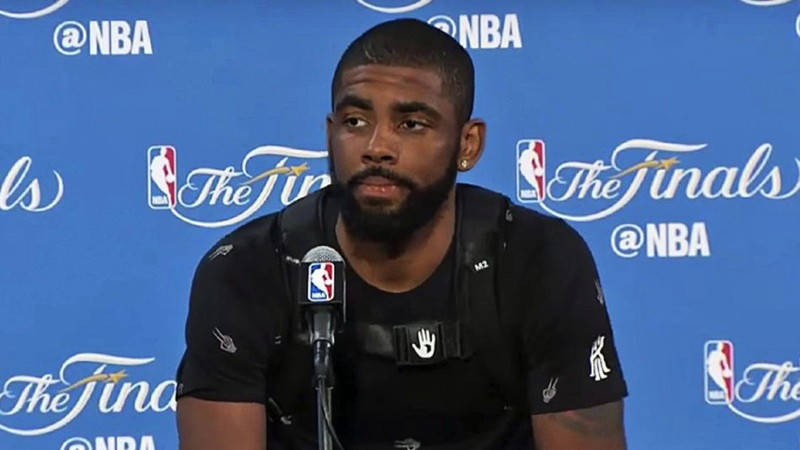 Kyrie Irving was spotted wearing a Subpac, which is a patent-pending tactile audio device that transfers low frequencies directly to the wearer’s body and provides the ability to feel music.